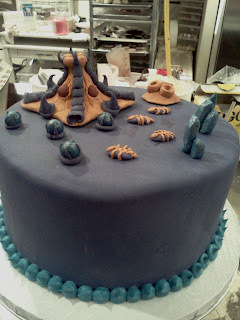 I know it's been awhile since my last post, but I'm going to try to be better about posting very soon. 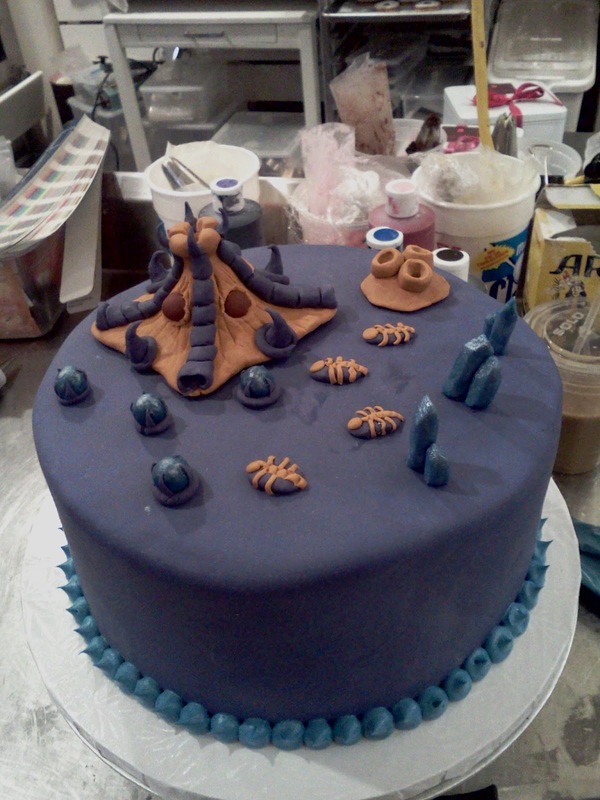 I've been going through a lot of changes recently, so hopefully i will have some good news to post very soon. 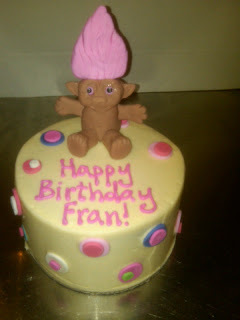 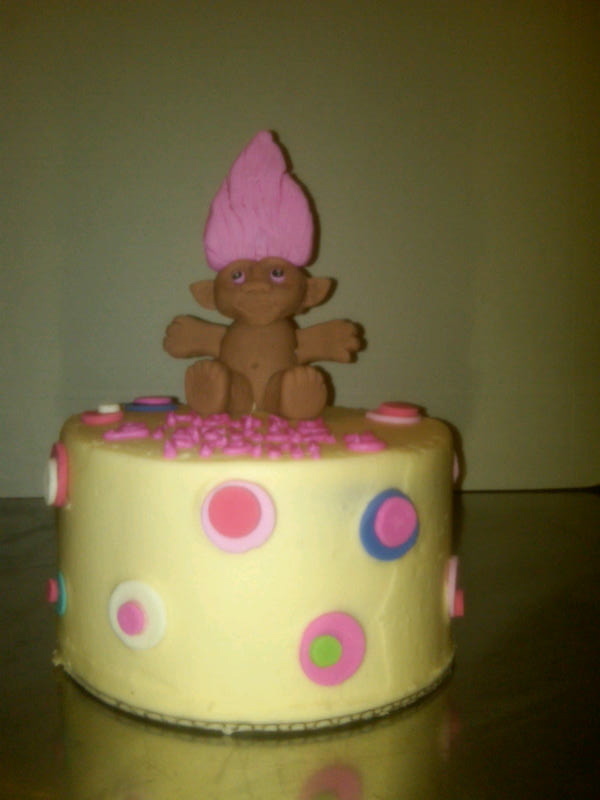 Here is a cake I did last week with a 3d Troll doll figure on top of the cake. It was a very interesting request it was definitely the first troll doll I've ever made. 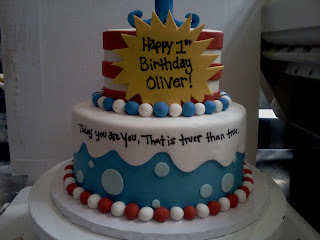 Cat in the hat theme cake! 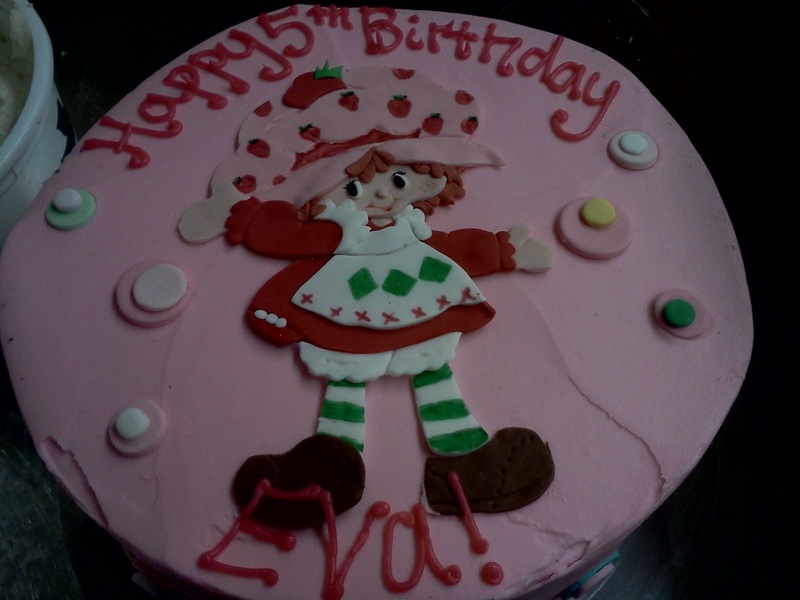 The top tier has fondant stripes to mimic the cats hat, a fondant number 1 (my co-worker michele made the number), then there is the fondant plaque on the front with the inscription. 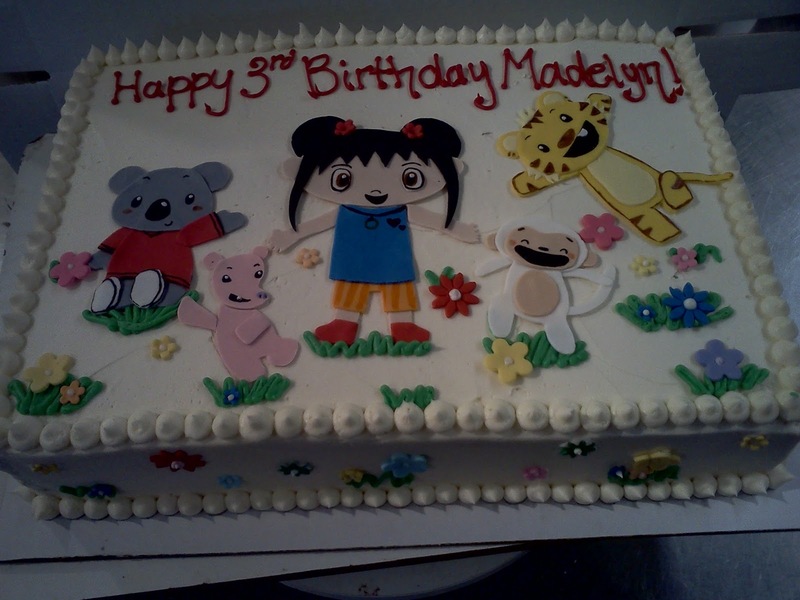 The bottom tier is inspired by the cake in the cat in the hat, then there is a Dr. Seuss quote that goes around the cake. The quote says: "Today you are You, That is truer than true. 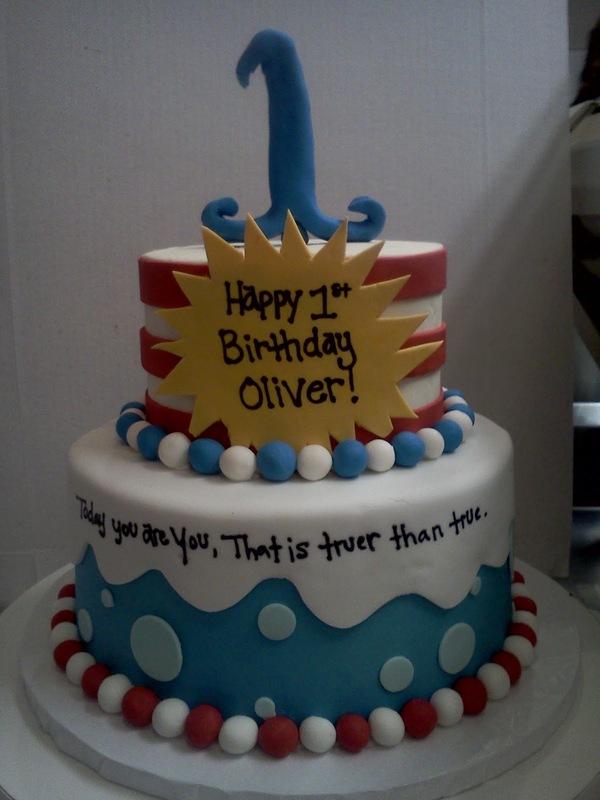 There is no one alive who is Youer than You." 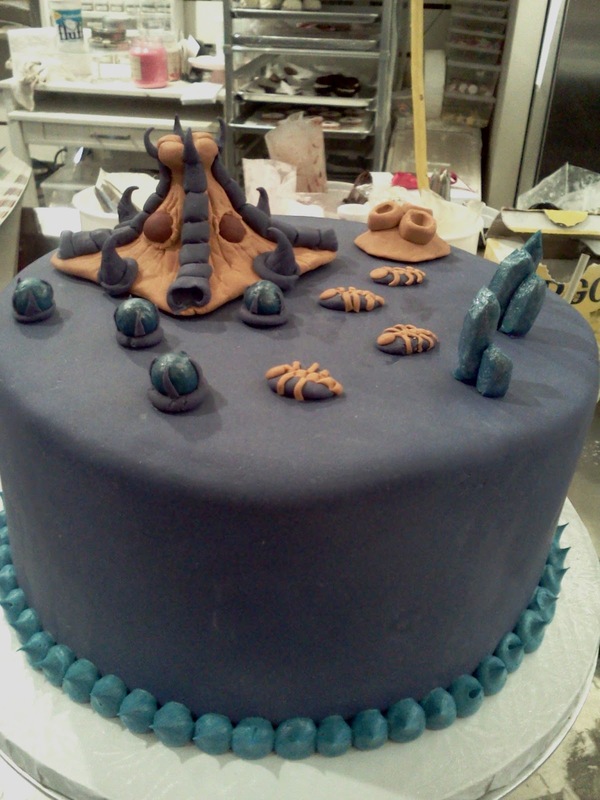 This cake is for any of you gamers out there, this week I made a starcraft cake. 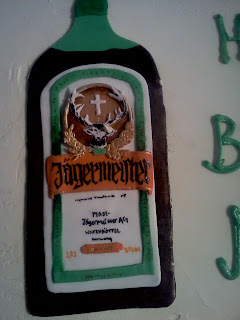 It was ordered by a woman for her husband to be his grooms cake. 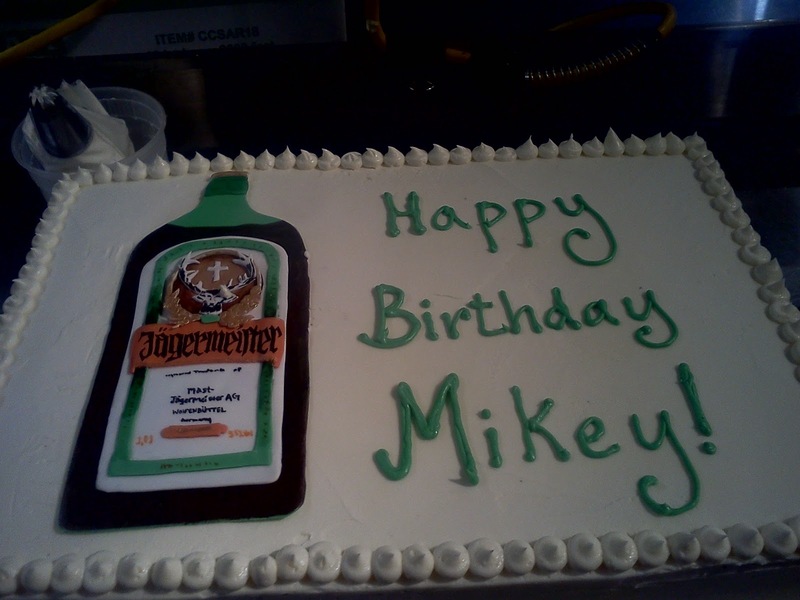 Anyway it was definately an interesting cake to do. Now im not familiar with the game but she gave us a referance picture so hopefully her husband liked it. Recently at work we received a call for a birthday cake for one of the cast members. 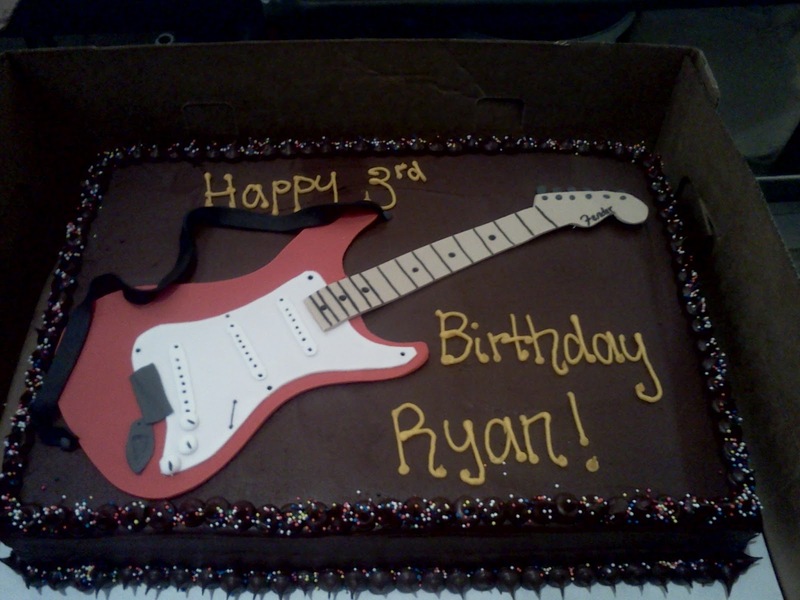 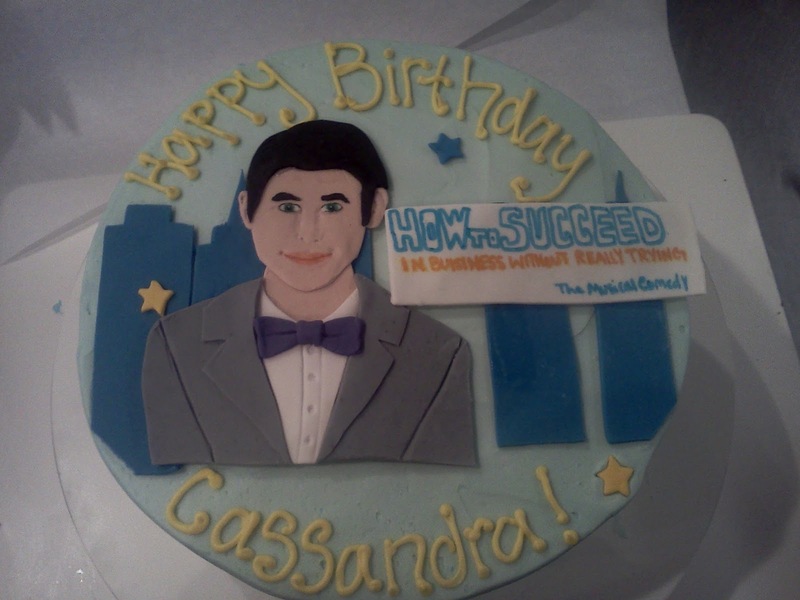 They wanted the same cake as before only smaller and with the new star Darren Criss on it. Here's a few cakes I did recently that I really liked. 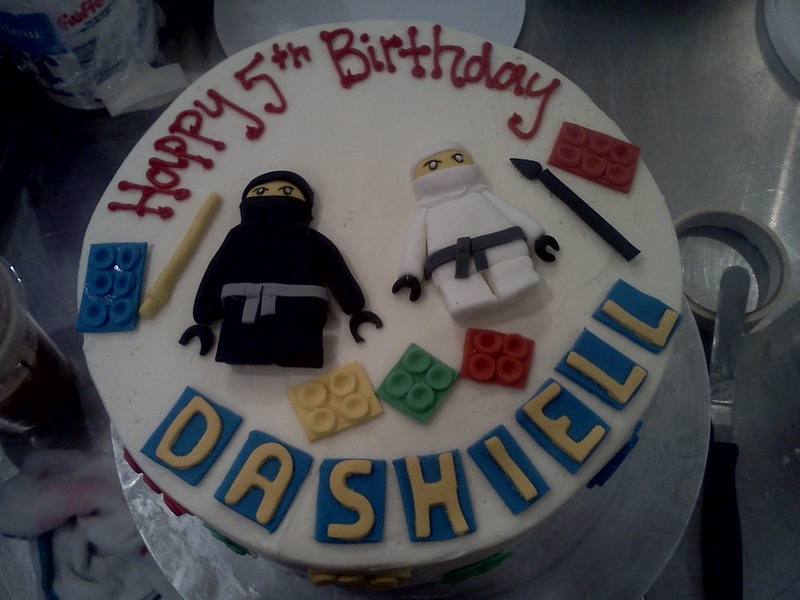 The first one was really different, they wanted a fencing themed cake. 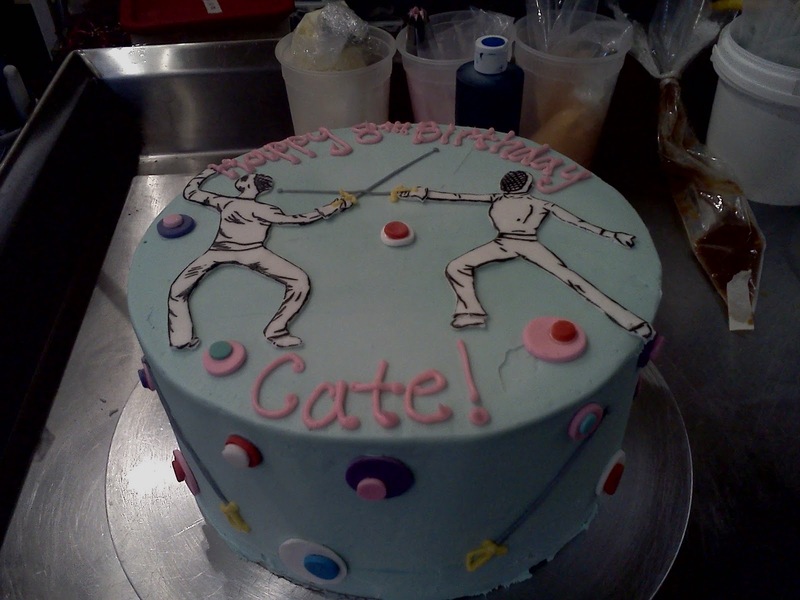 Really cool idea, I think I'd like to have a fencing birthday party, although I'm not too sure if its a really good idea to give a bunch of 8 year olds swords.